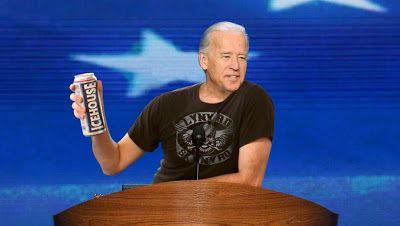 Don't forget (if you care) that VP Joe Biden and Republican Paul "I ran a marathon in under three hours - not" Ryan take the stage at 8 tonight in the only vice presidential debate this year. Let's face it: Neither one of these guys is exactly inspiring, but Walter Shapiro writes about why you should watch. It's not a bad article. For the fun stuff, check out the Onion's piece on the Vice-Presidency of Biden. Heh. When the hell did YOU get back?